Q: Good evening Unity, what are the dimensions of the square bracket and diameter of the circular bracket of 6" Decklight? 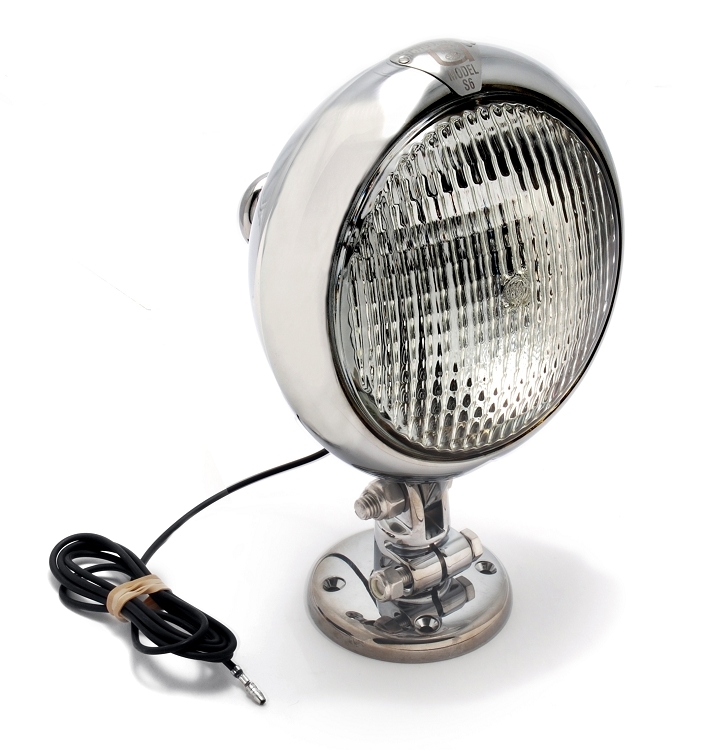 I would have to fabricate a base mount to allow fitting of this spot light to the windscreen frame of a 1954 Land Rover I am rebuilding. Do you ship to Australia? A: The square bracket is 2" x 2"
The circle bracket is 3.5" diameter. We do ship to Australia. 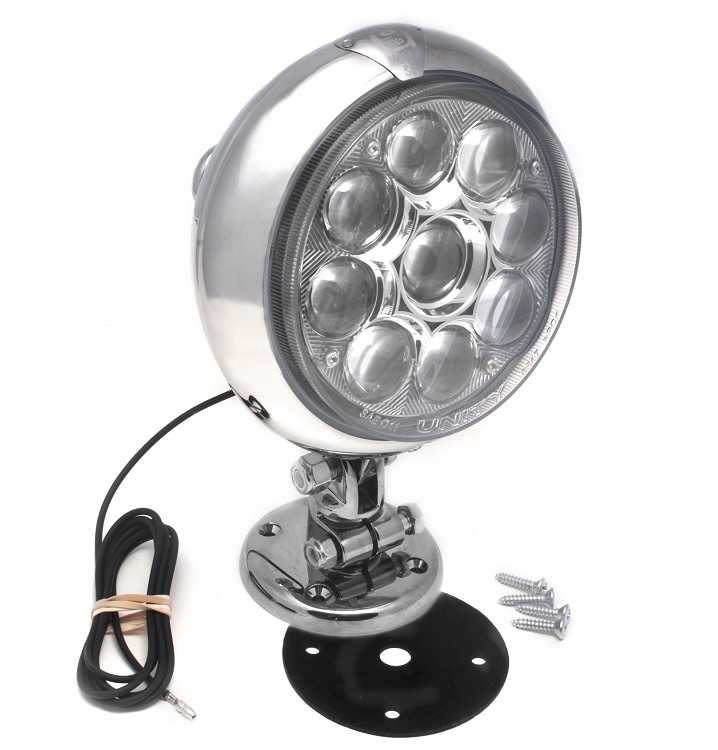 Q: Can I buy this particular spot light with a black housing, and if so can you give me the part numbe? 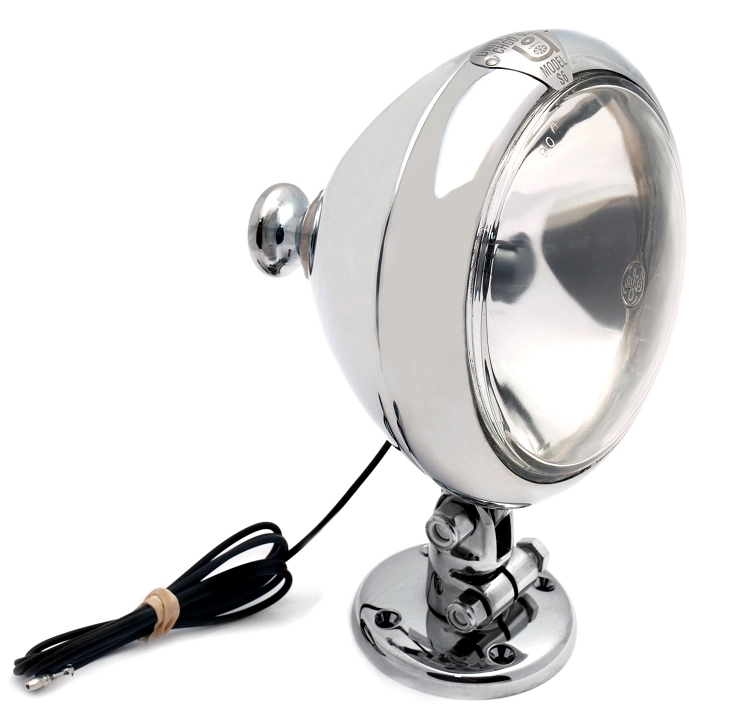 A: This light is only available in chrome finish. 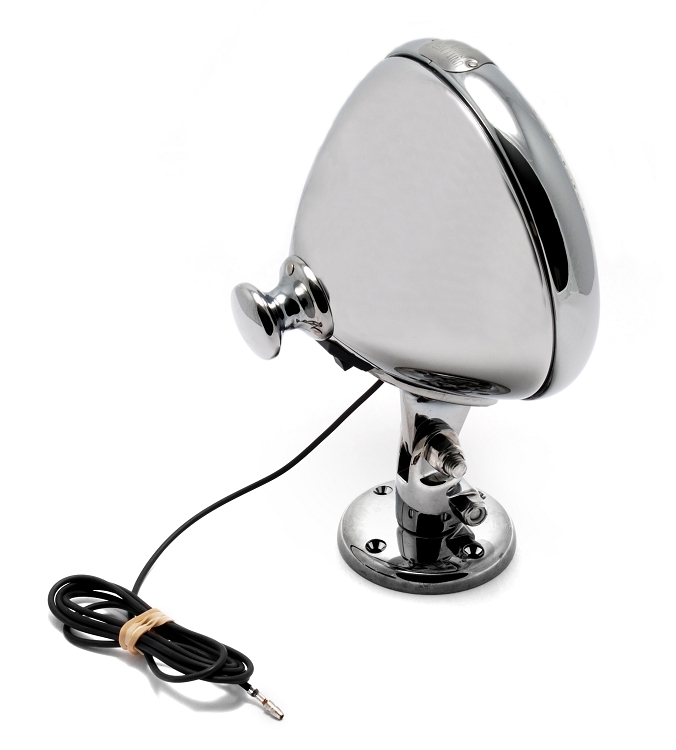 It is a chrome plated metal light. Black is only available in ABS housings. We currently do not have this style light available in ABS housing, but one is in development and should be released within the next year, but we do not current;y have a set release date. Q: Price of the H1?